Stepping Stone School incorporates Hatch’s TeachSmart® Learning System and Hatch’s iStartSmart™ All-In-One Computer Learning Center into our diverse trademarked curriculum to enhance our students’ access to information. The TeachSmart® Learning System is an education research-based interactive whiteboard with hands-on technology, and the only pre-K educational software accredited by SMART™ Technologies at the highest Select Level. It is a virtual learning center with over one thousand activities children can access with a single touch. TeachSmart® is designed for cognitive and social/emotional development in pre-literacy, math, science and social studies. TeachSmart® features research-based strategies that can be used effectively by an individual child, small groups of children, or in a full classroom setting. All of the system’s strategies meet or exceed national standards; this alignment – included with the Texas Prekindergarten Guidelines – is identified for each activity. 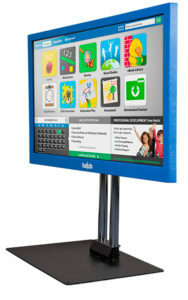 Hatch’s iStartSmart™ All-In-One Computer Learning Center is designed to develop school-readiness skills. The system engages children with play-based activities and moves them through eighteen skill areas, ensuring competency at each level before moving up to the next. 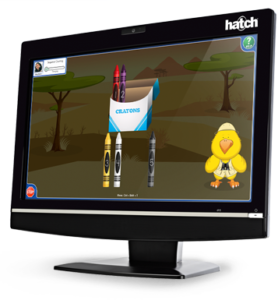 Hatch configures each iStartSmart™ Center around ECLaunch™, a utility software program exclusive to Hatch that provides a safe, child-directed computing environment. 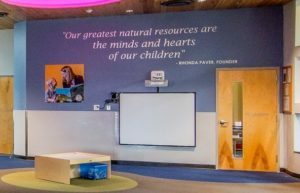 The center also includes standards-based progress monitoring and reporting capabilities for every child, so the teacher can adjust individual and classroom instruction accordingly. Stepping Stone School offers additional learning through the ABCmouse.com program in all Pre-K through School-Age classrooms across the system. My daughter loves this site! She has learned so much more than I thought she could learn at her age. ABC’s are her favorite things to do, and since I started her on this website she has learned to read words well above her age level. The Step-by-Step Learning Path™ presents the full ABCmouse curriculum in a carefully designed program of more than 850 lessons on ten levels. As your students complete each lesson, they are guided to the next one and are motivated to continue learning by the ABCmouse Tickets and Rewards System. ABCmouse.com‘s curriculum has been designed in close collaboration with nationally recognized early childhood education experts. All of our campuses provide S.T.E.A.M. (Science, Technology, Engineering, Art and Mathematics) labs where computers with STEAM-related software are connected to microscopes for a larger, up close view of specimens. Learn more. Computers are also provided in The Atelier™ where we integrate information with imagination by allowing children to use creative materials including computers with art-related software. Learn more.